Of all the acronyms and abbreviations automakers use to sell cars, one stands tall among the rest: AWD. Those three humble letters are spoken of in high regard, like a set of powerful ancient runes that will make you impervious to all manner of bad weather and road hazards. But is there any truth to that myth? It might seem like it hardly matters, since buyers keep buying all-wheel-drive cars like crazy regardless. But if manufacturers are going to sell people on capabilities they might use but once or twice a year (if that), it’s important to look past the marketing speak and find out how these systems perform when pushed to the limit and beyond. 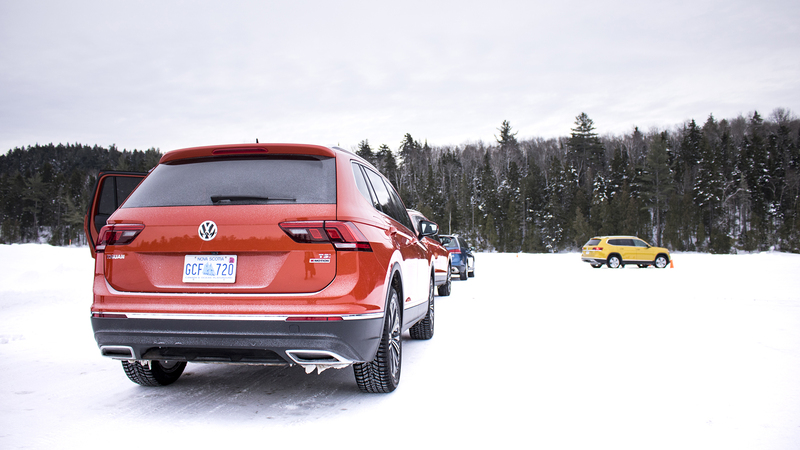 With the weight of that awesome responsibility resting on my shoulders, I decamped to the ice castle of Canada in February to test out the fifth-generation of Volkswagen's all-wheel-drive system, known to VW as "4Motion." Found in the VW Tiguan, Atlas, Golf Alltrack Wagon, and Golf R, it's a neat little piece of kit that's capable of routing up to 100 percent of the engine's power to the rear wheels when the situation calls for it. 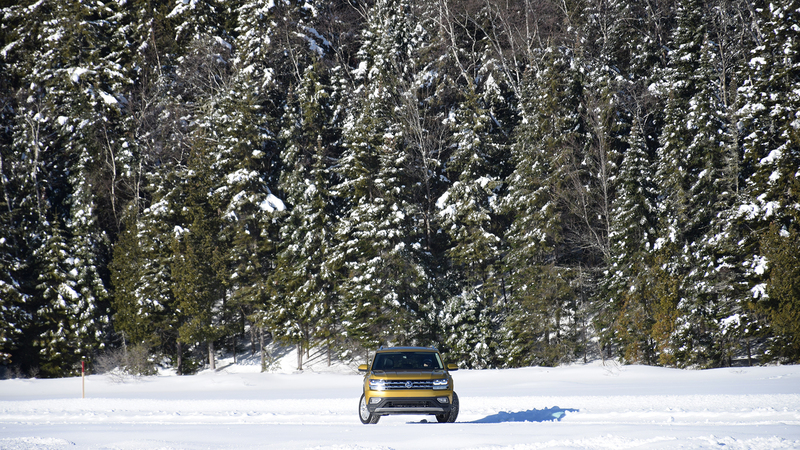 And when you're drifting a 292-horsepower Golf R on a frozen lake, that happens a lot. We're a long way from the primitive Quattro systems that made Audi famous in the early Eighties, which pushed power to all four wheels all the time. 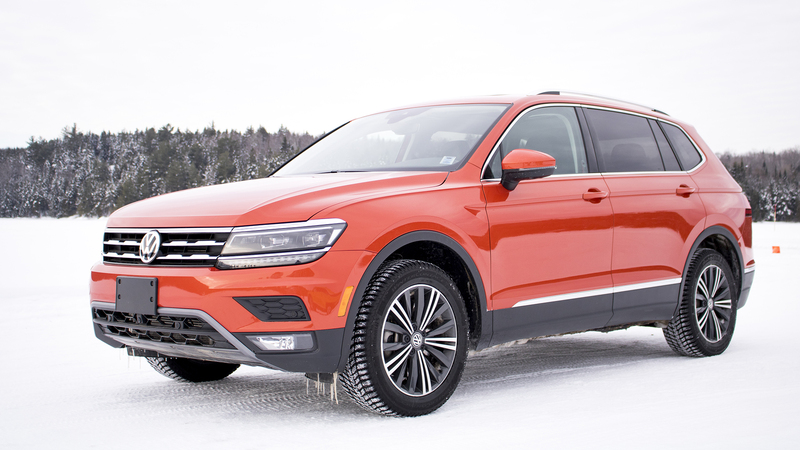 Today's Volkswagen 4Motion-equipped vehicles run in front-wheel-drive mode to save fuel during ideal conditions, but when things get a little slippery, power is immediately sent to the rear wheels to keep you from spinning off the road. This happens effectively instantly; as soon as the engine's computer detects the front tires spinning, it activates the Haldex electro-hydraulic coupling unit housed just ahead of the rear axle to engage all-wheel-drive. A second clutch can push power to individual wheels, to keep things composed in the worst of conditions. There are also pre-set modes that you can select, to alter engine and transmission behavior depending on terrain. All of which is to say: 4Motion is efficient, effective, and unobtrusive. It's similar in operation to most other torque-based AWD systems—which also means it won't make you invincible behind the wheel. 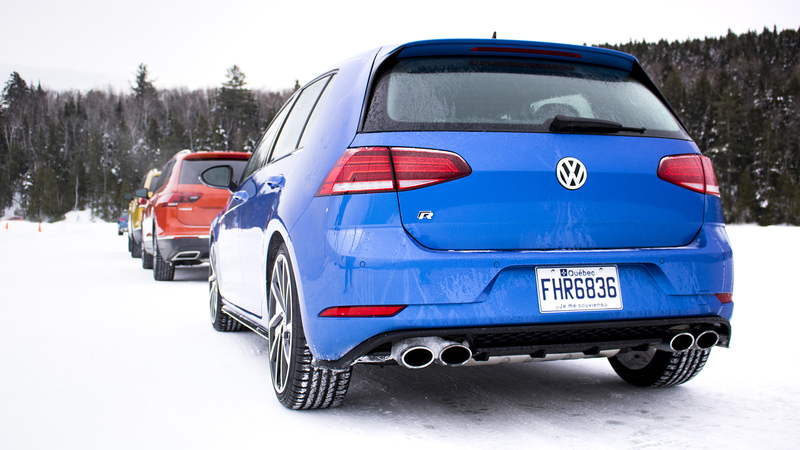 That became apparent the second I hopped into the feisty VW Golf R, threw it into the first turn of a slalom course that our French-Canadian instructors had set up on the frozen lake...and immediately spun out. Well, lesson learned: Basic winter tires can only do so much when tasked with keeping a 292-horsepower hot hatch pointed straight on sheer ice. And before I checked out the other vehicles Volkswagen had carted out to this remote corner of a Christmas tree forest, the Golf R had a few more things to teach me. First, sometimes the automatic is a better choice. Even though the Golf R is available with a six-speed manual, its seven-speed, dual-clutch transmission was more of a hoot, popping off shifts with violent, joyful certainty. 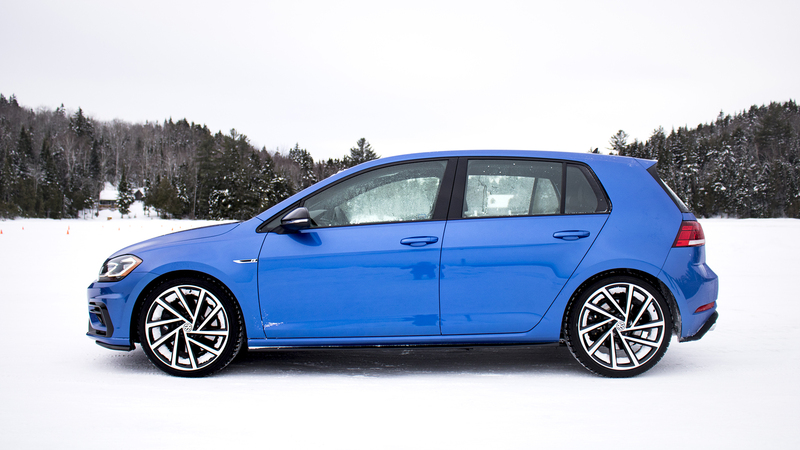 Second, the fact that 4Motion can send all the power to the rear wheels means the Golf R is more than capable of drifting on a low-traction surface, and it handles with a predictable ease at the edge of control. And finally...sometimes snowbanks are harder than they look. No, that wasn't me who stuffed it into a pile of ice chunks and destroyed the front bumper. (Blame Canada—or rather, an unnamed Canadian journalist) But even though Volkswagen was kind enough to let us keep driving after some hasty zip tie surgery, I moved on to the Atlas, Tiguan, and Golf Alltrack wagon to see how 4Motion behaved in a variety of vehicles when connected to various engines. To be fair, you could be in a Yugo and still have fun on an ice track. But it was still surprising just how well the system worked in the Atlas and Tiguan, both of which seemed eager to snap sideways when given the chance—though, sadly, the electronic nannies were just as eager to jump in and bring the good times to a screeching halt. Even with the stability control turned "off," the computer still intervened and cut the power to straighten out the car before anything resembling a decent slide could be achieved. Obviously, this is great for real drivers on public roads. It's not so great when you're trying to do your best Rhys Millen impression. 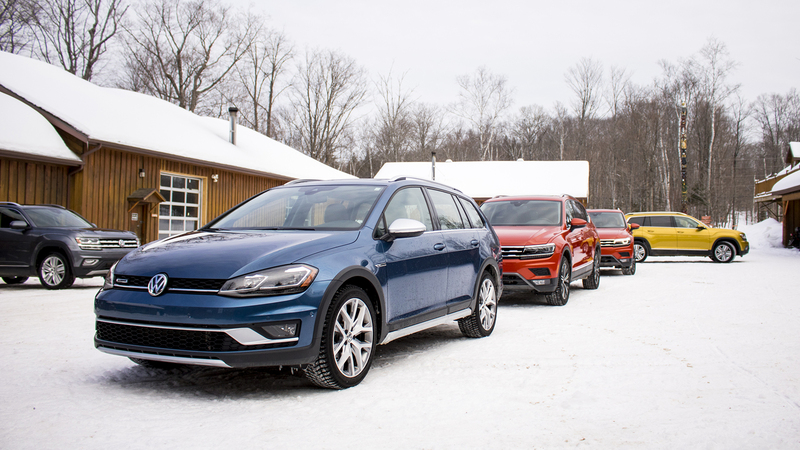 But it was the (not so) humble Golf Alltrack Wagon that stole my heart that frigid day. 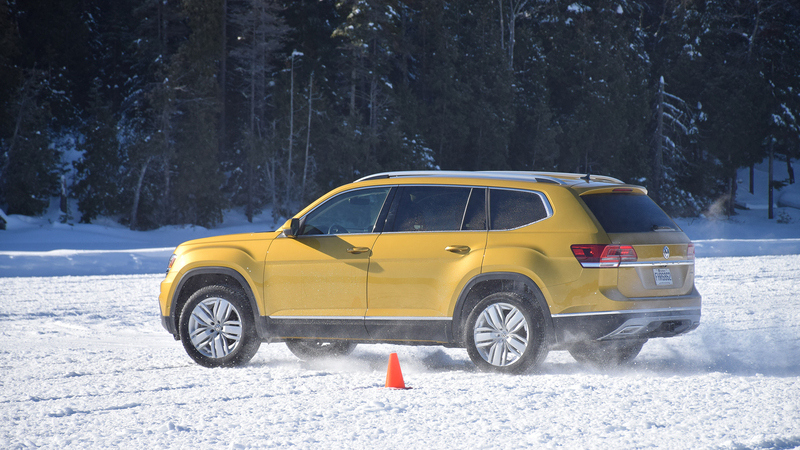 Powered by a turbocharged, 170-horsepower four-cylinder engine and available with choice of a six-speed automatic or manual transmission, the Alltrack matched the poise and balance of the Golf R on the ice course, while its less-aggressive handling paired perfectly with the long, loping turns the course provided. It was easy to dance on the throttle and give it just enough gas to step out the back end while keeping the traction control at bay. And as always, having a manual handbrake doesn't hurt the fun factor in the slippery stuff. So despite the breathless hype, it turns out there really is some truth to advertising when it comes to AWD. All-wheel drive has exploded in popularity and automakers have responded in kind, stuffing it into nearly every conceivable vehicle and daring you to risk life and limb by choosing the lesser two-wheel-drive model. And after a day of pushing Volkswagen's 4Motion system well past the point of propriety, I can say that while it won't turn you into a superhero, it might just save you from yourself. Driving in snow just takes chutzpah and, perhaps, quality life insurance.